Rural cancer survivors may disproportionately experience financial problems due to their cancer because of greater travel costs, higher uninsured/underinsured rates, and other factors compared to their urban counterparts. Our objective was to examine rural-urban differences in reported financial problems due to cancer using a nationally representative survey. We used data from three iterations of the National Cancer Institute’s Health Information and National Trends Survey (2012, 2014, and 2017) to identify participants who had a previous or current cancer diagnosis. Our outcome of interest was self-reported financial problems associated with cancer diagnosis and treatment. Rural-urban status was defined using 2003 Rural-Urban Continuum Codes. We calculated weighted percentages and Wald chi-square statistics to assess rural-urban differences in demographic and cancer characteristics. In multivariable logistic regression models, we examined the association between rural-urban status and other factors and financial problems, reporting the corresponding adjusted predicted probabilities. Our sample included 1359 cancer survivors. Rural cancer survivors were more likely to be married, retired, and live in the Midwest or South. 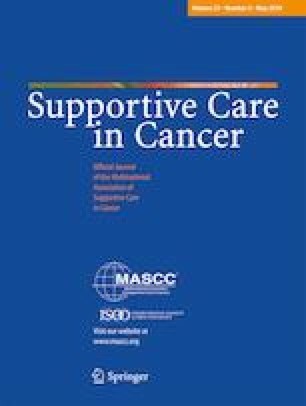 Over half (50.5%) of rural cancer survivors reported financial problems due to cancer compared to 38.8% of urban survivors (p = 0.02). This difference was attenuated in multivariable models, 49.3 and 38.7% in rural and urban survivors, respectively (p = 0.06). A higher proportion of rural survivors reported financial problems associated with their cancer diagnosis and treatment compared to urban survivors. Future research should aim to elucidate these disparities and interventions should be tested to address the cancer-related financial problems experienced by rural survivors. The online version of this article ( https://doi.org/10.1007/s00520-019-04742-z) contains supplementary material, which is available to authorized users. This publication was supported, in part, by the Cancer Prevention and Control Research Network, funded by the Centers for Disease Control and Prevention and the National Cancer Institute (3 U48 DP005000-01S2, University of South Carolina PI: Friedman, Authors: Zahnd, Odahowski, and Eberth; 3 U48 DP005006-01S3, Oregon Health & Science University PI: Shannon and Winters-Stone, Authors: Davis, Perry, Farris, Shannon; 3 U48 DP005014-01S2, University of Kentucky PI: Vanderpool, Author: Vanderpool; 3 U48 DP005013-01S1A3, University of Washington PI: Hannon, Author: Ko; and 3 U48 DP005017-01S8, University of North Carolina PI: Wheeler, Authors: Wheeler and Rotter). Melinda Davis was supported in part by an NCI K07 award (1K07CA211971-01A1). Linda Ko was supported in part by a grant from the Clinical and Translational Science Awards program (UL1 TR002319). This study was also supported by the Federal Office of Rural Health Policy (FORHP), Health Resources and Services Administration (HRSA), U.S. Department of Health and Human Services (HHS) under cooperative agreement [5 U1CRH30539-03-00; Eberth, Zahnd, Odahowski]. The information, conclusions, and opinions expressed in this brief are those of the authors and no endorsement by FORHP, HRSA, CDC, NIH, or HHS is intended or should be inferred.